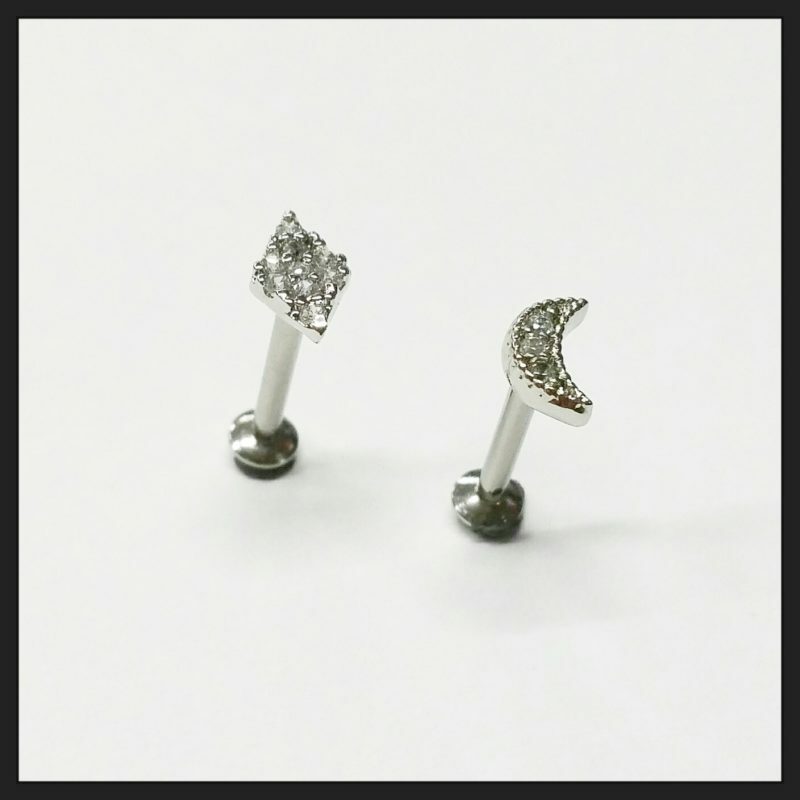 Opal bar ear studs in surgical steel. Gemstone leaf earrings. Rose Gold and Steel. Crescent round gem earrings. Steel. Disc earrings. Steel, Gold IP, and Rose Gold IP.